These rows are so finely crafted that they are also suited for the Russian Volume technique. 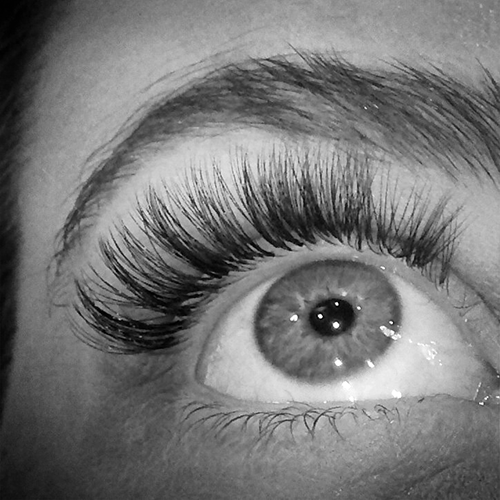 Traditional Flare Lashes usually are too heavy to be worn for long stretches without feeling bad about it. 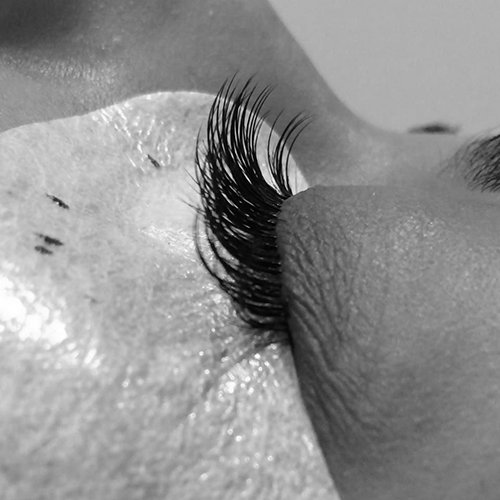 Excessive weight on natural eyelashes can lead to premature falling of eyelashes and can hamper the growth of eyelashes. They should thus be worn only occasionally or for short periods. The next generation Flare Lashes shown here are light as feather, create volume without having to fret about them. 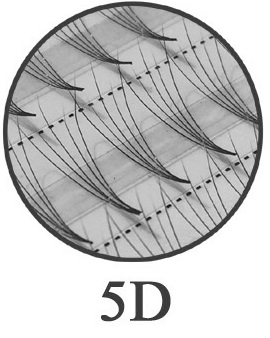 The series of mere 0.07 mm per eyelash, in particular, is almost weightless, making a whole bundle of 5 superfine eyelashes the equivalent of an individual 0.15 mm eyelash, weight-wise. 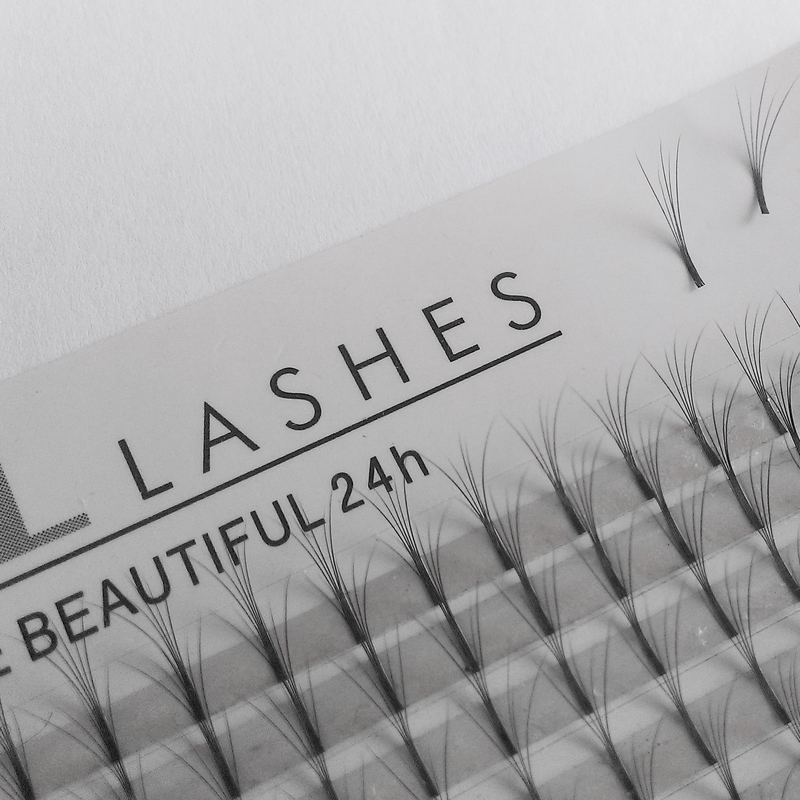 It is a popular misconception that two of 0.07 mm eyelashes are equivalent to the weight of one 0.14 mm eyelash. That, however, is not the case. A 0.15 mm eyelash corresponds to 4.6 eyelashes with a diameter of 0.07 mm. These Flare Lashes offer a wonderful alternative to those who balk at the effort and price of the Russian Volume technique. Stylists now have the option of creating volume even without using the XD Volume technique and in doing so of not putting too much of a strain on the natural eyelashes. What's more, all this is achieved in half the time!